As I write ‘corporate thrillers’ and delve into the darker side of corporate India, I experience an urge to try my hand at some ‘regular’ crime fiction as well. Perhaps, once my commitment to write a series of four corporate thrillers is met, I may attempt a regular crime novel. But for now, my urge is manifesting itself as short stories. Dr Govind returns to Jaipur after twenty years … and to a murder. A cozy mystery. AMAVAS: Minal is petrified. She has just discovered that her family is irretrievably linked to the serial killings that have been terrorising Delhi for the past four new moons. Each new moon (amavas) has brought slit throats. Tomorrow will be another amavas. Minal must do everything she can to save her family. GULSHAN PANDEY: Abhinav, a journalist, has always wanted to experience prison first hand, even if it is just for a day. When an opportunity comes up, he is delighted. But is he tempting fate? Tomorrow would be another amavas. Oh God! How many more deaths will it bring? The last four new moons had seen eight throats slit. Why did it have to be Delhi? Why so close to her world? Why now? Minal’s despair threatened to overwhelm her. All the victims had been rich, young and inebriated. Not her kind of people; total strangers. Yet, it had shattered her family. Even little Ruhee seemed to sense it. She had grown quiet and clung on more than usual. The household was on the edge; more than Delhi was. Far more. Minal threw a glance at her husband as she fed Ruhee her dinner. How much he had changed in the past two months, over the past four new moons. He used to take such pleasure in feeding Ruhee, bathing her, reading her stories, putting her to bed. No longer. He now sat glowering morosely at the TV, watching the news but only half listening to it, clenching and unclenching his large hands. Abruptly, he picked up the fruit knife and began viciously peeling an apple. The fruit knife, looking absurdly small in his large hands, moved swiftly, surely. The peels were so thin. Ruhee held out her little hand, asking her father for a piece of apple. But Harith didn’t respond; his attention was on the TV anchor as she revelled in recounting the gory details of the past four fortnights. Wedges of apple disappeared into his mouth. Neither Ruhee nor Minal might have existed. His face was a frozen mask. Frightened, Minal picked up Ruhee and took her into the kitchen. The look on her husband’s face was an excruciatingly familiar one; one that she had hoped never again to see. She had seen enough of it during the last days of their stint near the India-Burma border. She was an army doctor and Harith a commando captain. Fighting insurgents in the jungles that straddled the border had been very much like what the Americans had faced in Vietnam. The enemy had been ruthless, cruel and vile. Commandos preferred death to being captured alive. Every outing, every patrol had been psychologically devastating. They had left deep mental scars on Harith. One of Harith’s men, Ramesh Bose or ‘Rambo’ as they had called him, had been tortured for seven days before being rescued. S.L. Umesh Das Gupta, ‘Sludge’ to his mates, had gone psychotic. Harith had not lived it down. He had gone into a deep depression after the terrors he had witnessed, and after seeing the impact on his men. As one of the army doctors on site, Minal had treated him. He had subsequently been sent back to civilization and to a training role, but the damage had been done. As if that were not enough, Shreya, his younger sister had been killed a week after he had returned to Delhi, run over late one night by a drunken kid returning from a nightclub. He driving an Audi A8, a car worth more than Harith and Minal’s life savings. That broke Harith. His hatred for inebriated drivers knew no bounds. As Minal began cleaning Ruhee up after the meal, Harith turned up the volume. The TV anchor’s voice came through to the kitchen. 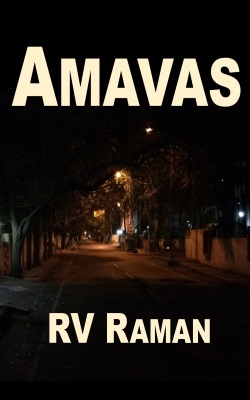 ‘The killer strikes only on amavas nights,’ she cried in unholy glee, ‘and kills only young people returning from nightclubs. We know nothing about him other than he is ruthless and quick, and that strikes when his victims are close to where their cars are parked. Perhaps when they are about to get into them. She turned to her ‘medical expert’ and ask for his view. With a hiss, Harith snatched up the remote and switched off the TV. Without a word, he strode into the third bedroom they used as the study, and locked the door. From the sounds that came through the wall, Minal knew exactly what he was doing. He had opened the trunk in which he kept his commando weapons. Whether he had brought them away legally or not, she had never figured out. But she knew that he could not bear to part with the devices on which his very survival had depended. During trying times, they served as his psychological crutches. They gave him a comforting sense of security. He had always been particular about keeping the devices of death out of reach. The trunk was always locked with two Navtal locks. When the locks were opened, the study door was invariably locked. Minal closed her eyes and shuddered. She could visualise it now – the short double-edged dagger in his right hand and the long serrated one in his favoured left. Both had non-reflective grey blades and black handles. She had watched Harith at training. How swift he had been, how deadly. Like a striking cobra. He would hit three dummies in three seconds. The long serrated dagger was unstoppable. The commando captain had been a killing machine. Be that as it may, what proof did she have? Maybe, she was just linking up unconnected things. All of Delhi was on the edge, not just she. Not just Harith. Yes, there were disconcerting coincidences. Like his not being at home during the last three new moon nights when the rich kids had been killed. But that didn’t prove anything, did it? So, after the last amavas, using her position as an army doctor, she had gained access to the morgue where the latest victims were kept. One glance had told her that the fatal wounds had been inflicted by a long serrated blade. The direction of the blade had been from the right side of the victims’ throats to the left. On their left cheeks were marks of four large fingers, and on the right cheeks were depressions that matched a large thumb. It was all very clear. The killer had struck from behind, clamped their mouths with a large right hand, pulled their heads back to expose their throats, and slit them with his left hand. Exactly the strike she had seen Harith practise time and again. Serrated blade. Large hands. Left-handed. What more proof did she need? But why? Why him? Why us?